Cold chills and fun-sucking moisture flee when they see the Dakine Titan GORE-TEX Mittens. Equipped with high loft synthetic insulation and 280 g touch-screen compatible fleece liners to keep your hands warm and industry leading GORE-TEX + Gore Warm inserts to keep 'em dry, the Dakine Titan GORE-TEX Mittens make everything from shredding to texting a whole not more enjoyable. On extra cold days, toss a hand warmer into the external waterproof zippered pocket on the Dakine Titan Mittens and say 'goodbye' to bone-chilled fingers this season and for many more. Polyester with DWR Treatment  The surface of the shell fabrics are treated with a Durable Water Repellent (DWR) finish to act as an initial barrier to moisture. The backside of the fabrics are also treated with another water-resistant and breathable caoting. This acts as a climate-control system that lets perspiration out, but keeps moisture from penetrating inward. GORE-TEX Waterproof/Breathable Membrane + Gore Warm  Gloves engineered with GORE-TEX inserts + Gore Warm technology are durably waterproof, windproof and breathable -- guaranteed. Even in harsh conditions the whole system of inner lining, membrane and outer material is optimized to keep your hands warmer for longer. High Loft Synthetic [110 g / 230 g]  A synthetic insulation with an excellent balance of comfort, warmth and value. It resists moisture in wet conditions providing loft retention and an air space that holds heat and keeps hands warm. The non-bulky nature of this insulation allows breathability when conditions are warmer. 150 g Tricot Lining  The least bulky of all liners, lightweight Tricot provides the ultimate in dexterity and moisture management. Removable Storm Liner Glove  Touch screen compatible 280 g 4x4 stretch fleece. The 4-way stretch fleece removable liner allows for versatility in climate adjustment and is extremely quick drying. RubberTec Palm  A polyester substrate with a polymer based high grip surface treatment applied to it. In addition to being waterproof, it has excellent abrasion resistance for long lasting durability. 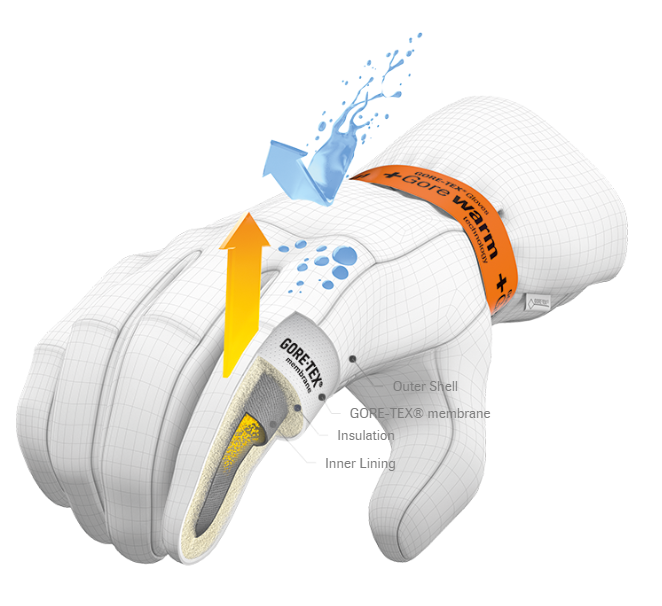 Warmth Index: 5  Gloves and mitts are rated from 1 - 5 based on the amount of insulation and lining materials. 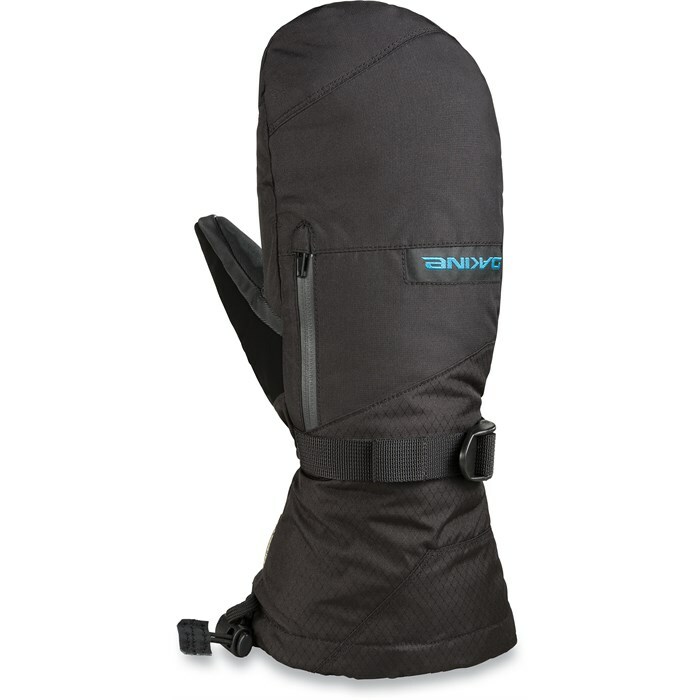 Styles with a warmth rating of 1 are designed for warmer weather conditions or riders who require less insulation. At the other end of the spectrum, gloves or mitts with a rating of 5 are the warmest styles for the harshest conditions, and for those who need maximum warmth.